Pilates is a core strengthening exercise programme. However, there is more to Pilates than just abs exercises. Your core is a group of muscles that wrap around your torso like an old-style corset. However it is often better to think of your core being like a tin, with your diaphragm at the top and your pelvic floor at the bottom of your core muscles. All muscle working together in each and every exercise. Pilates also strengthens the small postural and stabilising muscles in your body. A strong core is the foundation of any type of exercise you do. It can help prevent issues such as bad backs and can help with balancing out the body. Whether it be to balance a seated desk job or exercise routine such as running. Pilates is great to help lengthen as well as strengthen your body. Will Pilates improve my posture? However, the magic happens when you taken any pointers out of the class and into everyday life. It’s how you stand, as well as how you sit! Where can you bring Pilates into your seated posture? It may be just a simple reset every now and then. Noticing if your upper body has rounded in and any tension you may have in your hips? How is your posture when you are taking part in other exercise routines? Wherever you can, layer in what you have learnt about your posture from your Pilates class. Will Pilates improve my fitness levels? 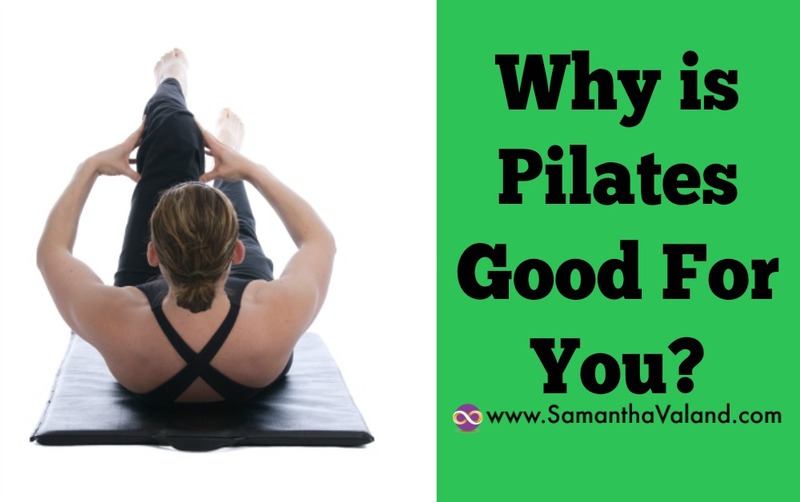 No, Pilates does not challenge your heart and lungs as it does not get you out of puff which is what you need to do to improve your fitness levels. There is a famous quote from Joseph Pilates. However, as you can imagine there is a big difference between going to 3 classes a week for 10 weeks and 1 class a week for 30 weeks. Pilates most definitely improves your core, if you are doing it right! I have covered many classes in gyms where the participants have been ‘doing’ Pilates for years but cannot keep their pelvis in neutral whilst exercising. This means they are using the wrong muscles. Many classes, particularly in gyms do not cover the basic’s in my humble opinion as the exercises feel ‘easy” and prefer the burn of more advanced exercises. So, pick your class wisely and therefore your time wisely. Will Pilates improve my flexibility? Many Pilates class will help with flexibility. The more advanced the class, the more you will find out where your tight muscles are! You need both strength and flexibility to progress from beginner to intermediate to advanced moves. However, it depends what exercises your instructor selects for your class. You may need some supplemental exercises to do at home in between classes. Keeping flexible is important as we get older for the simple tasks of putting on your bra and tying your shoelaces. Will Pilates improve my balance? Being able to maintain your balance, particularly on one leg is a fundamental part of active ageing well. There are balance exercises in Pilates but it will depend on your individual teacher if they are included in the exercise selection. You could ask your teacher to include them for you. Similar to balance, there are many exercises for this but it will depend on your teacher if this is emphasised in the class or not. Many types of exercise fall into the ‘activity oriented’ meditation category and Pilates definitely does with the principles of Pilates being centring, concentration, control, precision, breath, and flow. All help you to forget about your to do list and focus on the exercises. I’m often told it is the quickest hour of the week. Is Pilates a good exercise routine for during and after the menopause? Technically yes, but it will depend on your individual teacher. As it can be at a low level of intensity (compared to running for example), it may be one of few workouts that you can attend consistently every week, rather than dependent on what your energy levels are like on the day. But Pilates can also be quite challenging, so you may want to find a different class if you are struggling with the intensity of it. You may find some of the exercises can get pretty warm, especially the ones lying on your tum, also any that you personally find you have to concentrate. Does Pilates strengthen my bones? Osteoporosis can occur due to a poor diet and sedentary lifestyle as well as post-menopause as estrogen levels fall. Weight bearing exercises are required to strengthen bones. Most Pilates classes take place lying on a mat. Some Pilates equipment will aid bone building but a general Pilates mat class will not help with bone building. There is a saying that osteoporosis doesn’t break bones, falls break bones. Pilates will definitely help with strengthening your core, improve your balance and therefore reduce the likelihood of falling. If you have been diagnosed with osteoporosis any exercises that contains loaded flexion should be avoided. This means exercises such as curl up, which are the foundation of many Pilates exercises. Be proactive and find different ways to move that will not negatively affect your bones. This may mean finding a teacher who can help you on a one to one basis initially rather before attending a class. In the U.K., you may need a doctor’s note to attend a Pilates class from an insurance point of view. With the right teacher, you can still have an effective Pilates workout that is suitable for you. This knowledge can be transferred into other exercise modalities. If you haven’t tried Pilates before, finding a beginner’s class that runs in a block rather than drop in is ideal for learning Pilates. You can read my blog here on drop in versus blocks. A beginner’s class will help you understand what Pilates is all about, and how you need to adapt any exercises, because we all have area’s of tightness when we get into our 40’s! I have been attending Pilates classes for over a decade and I am still happy about going into a beginner’s class as I always learn something new about how my body is behaving. I believe both are important, attending a class is where you have ‘eyes on’ how you are moving and if it’s a small enough class you will be given adjustments to get into the right alignment. It it also important to exercise on your own and to be able to self-correct. How often you attend a Pilates class depends on what your fitness goals are. It is often attended once a week as ‘active rest’ as part of your exercise routine. Attendance in Pilates classes is often increased when it is part of a rehab or recovering from an injury. Personally I don’t think it should be the only exercise you ever do as there are aspects of your health that it does not cover such as heart health and building bones. I know I’m biased as a Pilates teacher myself, I think everyone who exercises would benefit from Pilates classes. As well as teaching you about your posture and how to correct it, it is easily transferred into other exercise programmes you participate in. Good posture in a Pilates class is also maintaining good form in many other classes. A strong core is also a foundation for any other exercise programme.